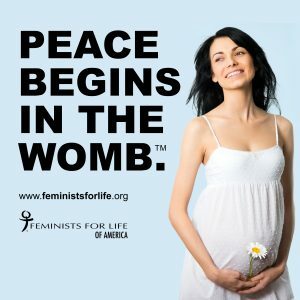 “We are really pleased that our thought-provoking message that PEACE BEGINS IN THE WOMB is drawing attention,” said Feminists for Life President Serrin Foster. 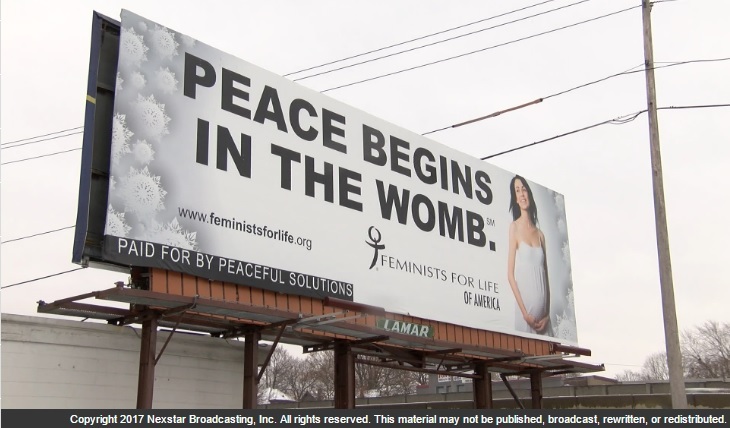 “Although the billboard didn’t actually mention the pro-life feminist leader Susan B. Anthony, we are very happy to have that conversation, especially as we count down to the Centennial Celebration of the 19th Amendment.” The 19th Amendment, also known as the Susan B. Anthony Amendment, gave American adult women the right to vote. In response to FFL’s message of peace, Deborah Hughes, president of the Susan B. Anthony House in Rochester, told Channel 8 News, “Anthony did not support the criminalization of women.” “Neither, overwhelmingly, does today’s pro-life movement,” said Carol Crossed, who is president of the Susan B. Anthony Birthplace Museum in Adams, Massachusetts. It is not easy to refute Deborah Hughes’ commentary during the report in a brief statement, especially since Foster accepted an interview, but it was canceled — twice. Crossed, who is also a Rochester resident, took the opportunity to call Channel 8 management to correct the record. Anthony published over 100 articles against abortion — often called Restellism after Madame Restelle, who openly performed abortions in the Northeast and cost the life of a young woman who was brutally killed during the procedure. It is the third most discussed subject in Anthony’s paper. “Anthony’s newspaper supported the criminalization of doctors. This was clever wordsmithing on Hughes’ part,” Crossed said. ● Most suffragists supported voluntary motherhood. This propelled their opposition to liquor consumption, which they believed led to male promiscuity. In Anthony’s social purity speech on temperance in Chicago in 1875, Anthony equated abortion and wife murder. ● Early women’s rights leaders did not oppose abortion on the grounds of safety, since childbirth in the mid-19th century was even more unsafe. ● Their language indicated they knew abortion took the life of a child, calling it a “crime against humanity,” “feticide,” and “child murder.” They used infanticide and abortion interchangeably. ● In addition, the policy of Anthony’s newspaper, as stated in the inaugural edition of The Revolution, was to refuse ads for abortion or abortion medicines. This, despite that these ads were lucrative profit-makers for other newspapers of the time. “Rather than accepting the most common advertisement of women’s magazines of the day and betraying the principles set forth, The Revolution went bankrupt,” Foster noted. More documentation is available at www.feministsforlife.org. Copies of “Voices of Our Feminist Foremothers” brochures and an issue of The American Feminist titled “First Wave Feminists: Remarkable Pro-Life Women and Other Suffragists You Should Know” are included with membership and also available in bulk quantities at www.feministsforlife.org/covetable-stuff.